Robert Murray is Nova Scotia's best known Berry Specialist. Born on a dairy farm near Scotsburn, Bob developed a natural interest in Agriculture. He went to the Nova Scotia Agricultural College (Debert Campus) and graduated from McGill university. In 1954 he joined the Department of Agriculture. He became Nova Scotia's leading Berry specialist. He was know by many as Mr Strawberry. As a berry crops specialist, Bob was the primary contact for many berry crop producers in the province. He took a very practical approach to his work and helped many growers achieve their goals through a conservative, well thought out process. 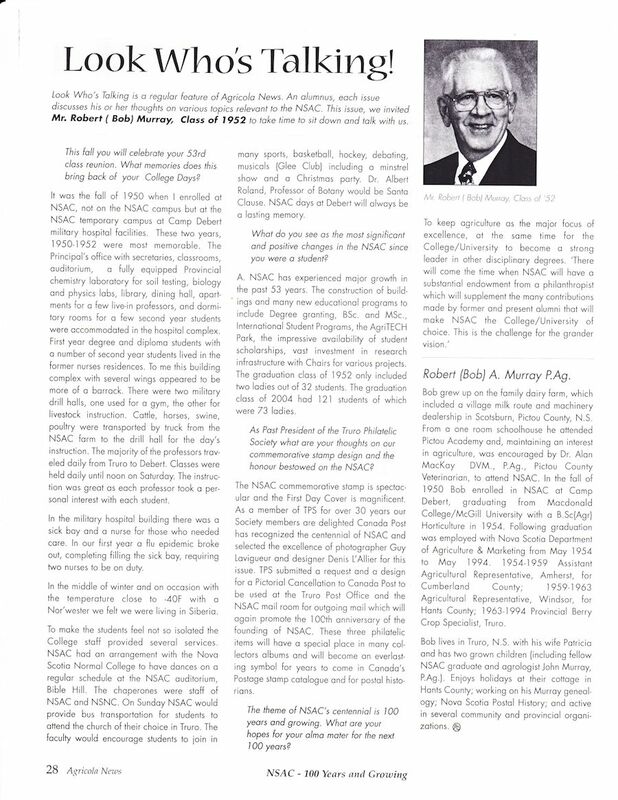 Throughout his career, Bob also spent time as a lecturer at NSAC. 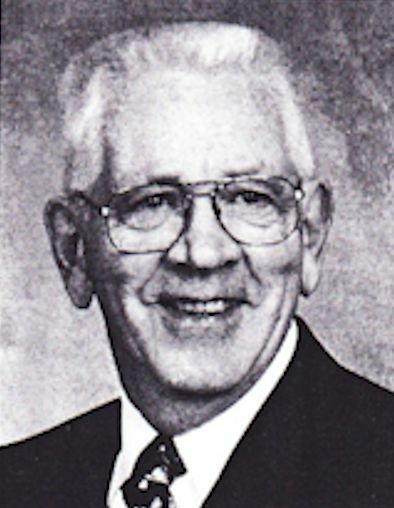 He enjoyed passing on his berry crop knowledge to students, who later became successful producers or extension workers. Bob also did grape research and helped develop the Nova Scotia Wine Industry. On top of receiving a long service award for his dedication to the Province of Nova Scotia, Bob has also received many other honours including the Recognition Award from the Nova Scotia Strawberry Growers Association, Distinguished Agrologist Award, Honorary Member: Grape Growers Association of Nova Scotia, NSIA Distinguished Life Membership Award and Honourary Member NSFA Senate Club. Jost Vineyards felt Bob’s leadership to the Nova Scotia grape and wine sectors were so momentous they named their 1992 Seyval Blanc wine the “Robert Murray Select”. He is co -author of the book The Tangled Vine: Winegrowing in Nova Scotia. and author of Nova Scotia Cranberry History and Development 1872-2000. He is now working on the Postal History of Nova Scotia. After retiring as a berry crop specialist, Bob established Murray Consulting Services. Bob is retired now but remains active in his community. Bob spends his days as a member of the St. James Presbyterian Church where he is involved with the Men’s Club, Board of Managers and is a Church Elder. He also volunteers his time as a member with the Postal History Society of Nova Scotia, Postal History Society of Canada, Bible Fellowship Group, Colchester Historical Society and the Truro Philatelic Society where he is secretary, bulletin editor and past president.